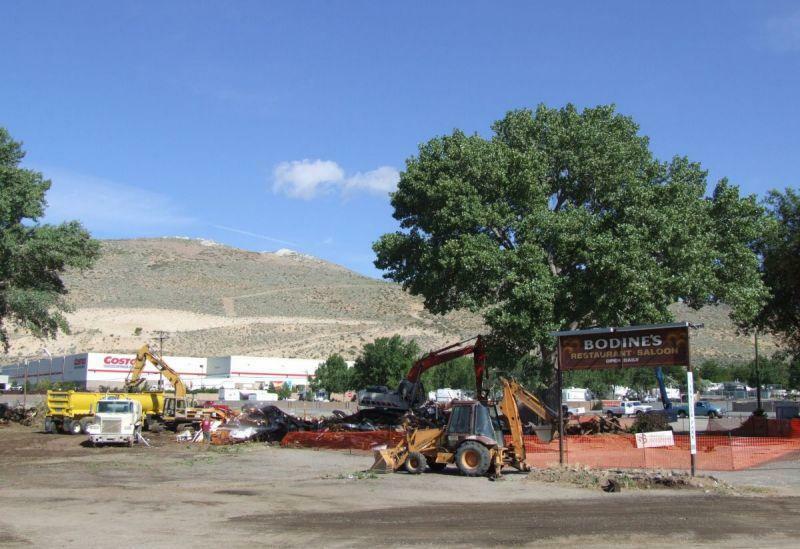 Bodine’s Restaurant has fallen. 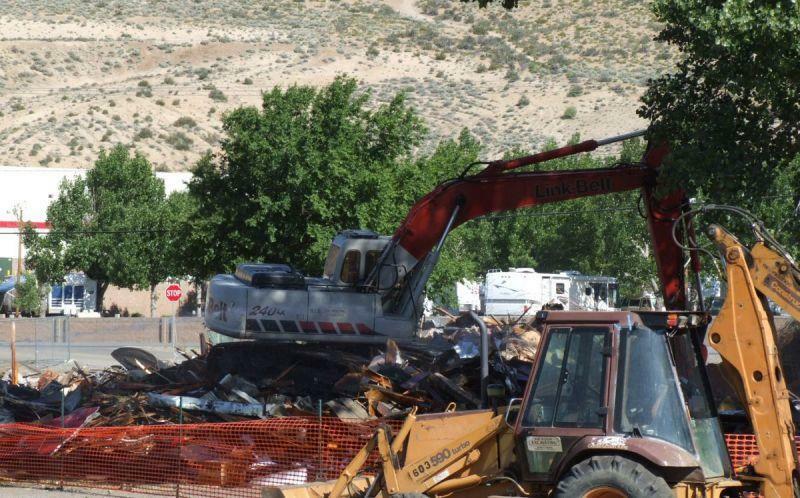 They brought in the excavator this morning and completely flattened it. By 9am it was splinters. The restaurant was the last building left on this corner lot. 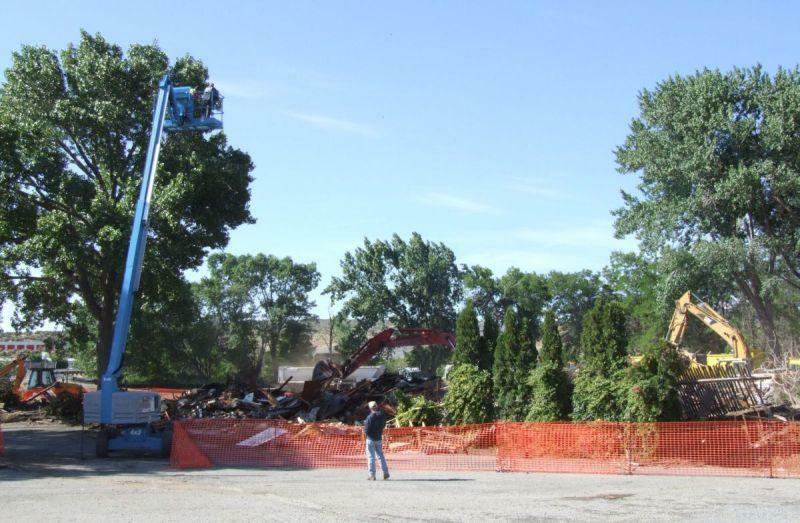 Now all they have to do is haul away the debris and take down the sign, the flagpole and a few more trees. After that’s done they’ll have a clean lot, and then they can start cutting the foundation for the new casino. 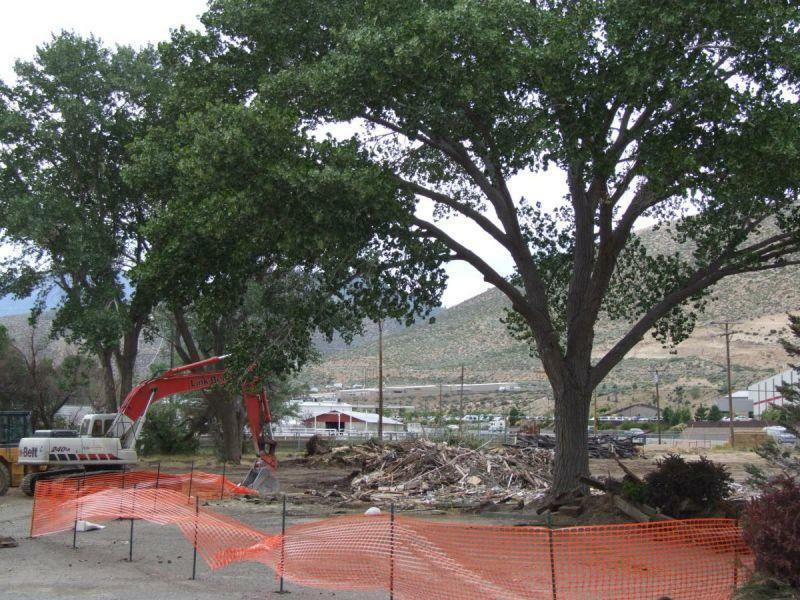 It’s just as much of a shame to see the old trees go as it is the casino, especially this large cottonwood that was right out front. But it does seem like they’re leaving a lot of the trees around the perimeter, so the lot won’t be completely bare. It will still be fenced in by a berm of trees, isolated from the fairgrounds in its own shady little spot. Buildings can be put together in a year, but it takes decades for trees to grow this big. They’d be wise to keep a few.